Chelsea started as a florist in Melbourne, Australia when she was a young lady! Chelsea has always been passionate about nature and floristry. She then began to create headwear and flower crowns to help cover a scar on her forehead, which was a result of an incident when she was just a little girl. At the time flower crowns were just beginning to be sold in shops, however majority of other crowns lacked detail and individuality. Chelsea saw this as an opportunity to not only create crowns for herself and for others around her who wanted something different yet beautiful. Chelsea then came up with the great idea of holding flower crown making parties for birthdays, baby showers and HENS day events. The beauty of having a Flower Crown party is that once you have been given the tools and shown how to use them you can develop your new found skills at home and make AMAZING crowns for any event! 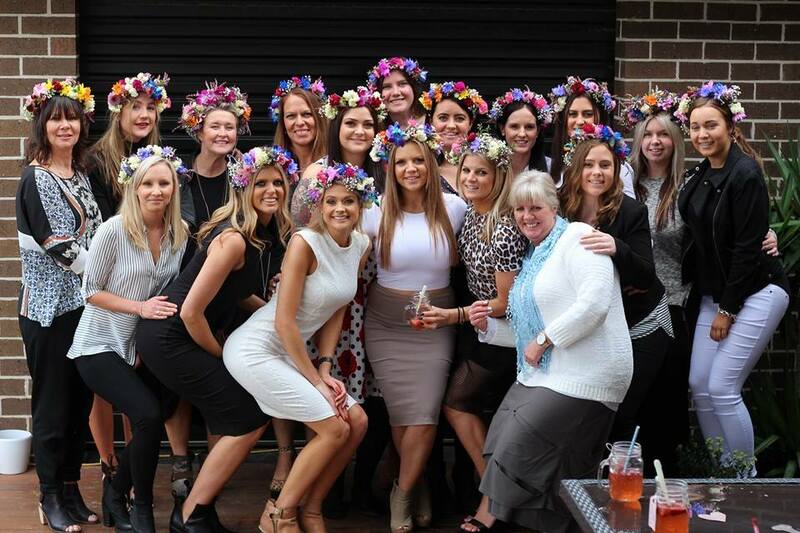 Chelsea offers to personally host on location parties which are always heaps of fun for all ages! These parties go for around 90 minutes with all flowers, utensils, as well as set up and pack up included! There is also a fun group photo-shoot at the end. For all prices and packages available please inquire within.